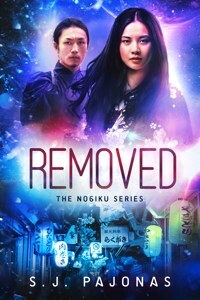 Whenever I sit down to write another book in the Nogiku Series, I first think hard about what new and interesting Japanese traditions I want to highlight in that book. For REMOVED, I introduced a lot of Japanese language and culture but made sure to touch on a few bigger events: New Year’s Eve, swordfighting, Japanese food and the izakaya phenomenon, a geisha party, and then a taiko drumming concert. It was a hard one to beat! So when RELEASED came before me, I was pleased that one main event would stand out: a wedding! Now, I’ve been a Japanophile for as long as I can remember and when my husband and I got married, I incorporated a few Japanese traditions into our ceremony. Let’s look at a few of the more obvious Japanese wedding traditions and then I’ll touch on the traditions of attending a wedding. A traditional Japanese wedding kimono is called a shiromuku (“Shiro” meaning white and “muku” meaning purity) and it is one beast of a kimono. I actually own one. I bought it before we got married because I thought it might be fun to get married in one, but I tried it on once and decided against it. They are very heavy, made of silk and usually woven in intricate patterns across the back. Mine has a heron and bamboo woven into it. The hem is unusual as well. It’s stuffed and padded, rounded so that the fabric weighs straight when worn. In the photo above, you’ll notice that everything the bride is wearing is white. This is also a tradition symbolizing her purity and her willingness to be dyed the colors of her groom. The wedding hood she wears is the wataboshi and is usually only worn during the ceremony. The red umbrella is very symbolic of Japanese weddings. The color red in Japan means life and wards off evils and the umbrella itself keeps the bride dry if it happens to be raining. It’s quite large and usually carried by man who follows the bride in a wedding procession. So the interesting thing about san-san-kudo is that the number 9 itself is considered an unlucky number in Japan. It’s pronunciation, ku, sounds like the word for “torture” or “agony” and it is often omitted from places like hospitals. All Nippon Airways does not use the number either. But in the case of this ceremony, since it’s three times three, it’s different. I don’t go into much detail in RELEASED about what guests are expected to do at a Japanese wedding because the event is very dramatic for Sanaa, my heroine, all on its own. But here are a few things to remember if you’re ever invited to one. 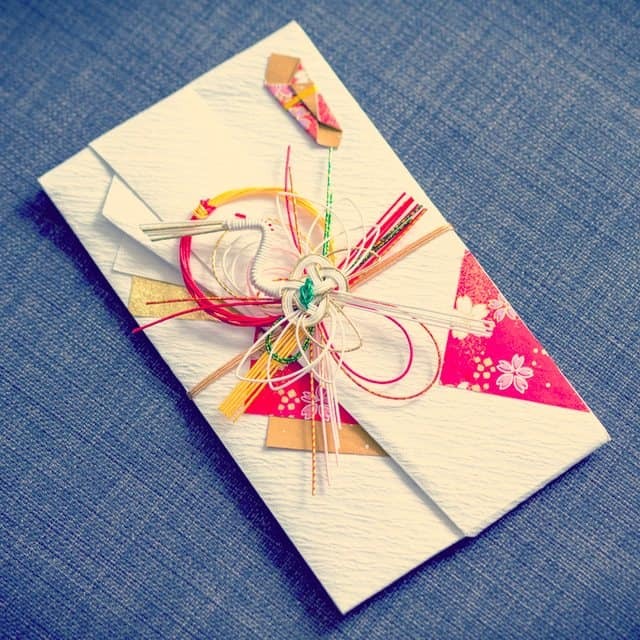 A wedding gift is usually cash and sometimes the invites will come with a suggested Yen amount to be gifted depending on how well you know the bride or groom. The gift should be given in one-man bills (equal to about $100) and should be an odd number so they cannot be split evenly between the couple. There is a special white envelope tied in red that should be used and the fancier the envelope the better. Most stationery stores in Japan have them. Dress nicely! Japanese weddings are not dressed-down affairs. It’s not black-tie, but it’s close. If you’re a woman, wear a nice dress (not black), get your hair done, etc. Men, please wear a nice suit. Ties are a must. If in doubt, dress conservatively. There are usually several after-ceremony parties unlike Western ceremonies. The first one you attend is the main one, then there may be several after that organized by the friends and/or family. You are usually required to pay to attend them (which covers drinks, food, the venue, etc). Be sure to have plenty of cash on hand. Please do not be late! Arrive early for everything. You may be asked to give a speech. Yes. It seems most people at a Japanese wedding are expected to say something nice to the bride and groom. A short, congratulatory statement will do. 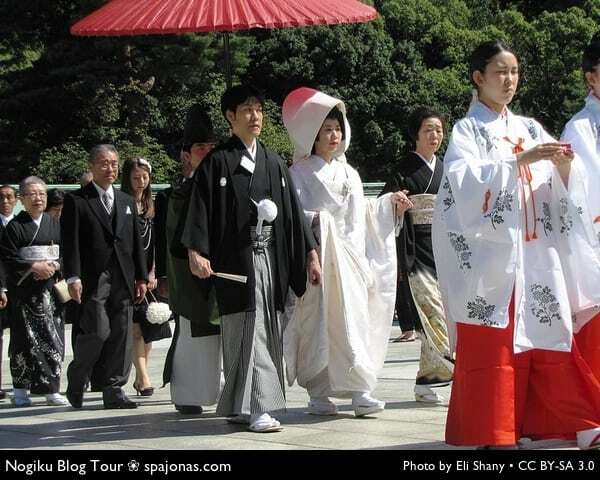 If you’d like to learn more about Japanese weddings, read this article on GoJapan.About.com. Flickr has an abundance of Japanese wedding photos you may enjoy. Here are a few below. And I have also put together this Pinterest board on Japanese Weddings. Enjoy!